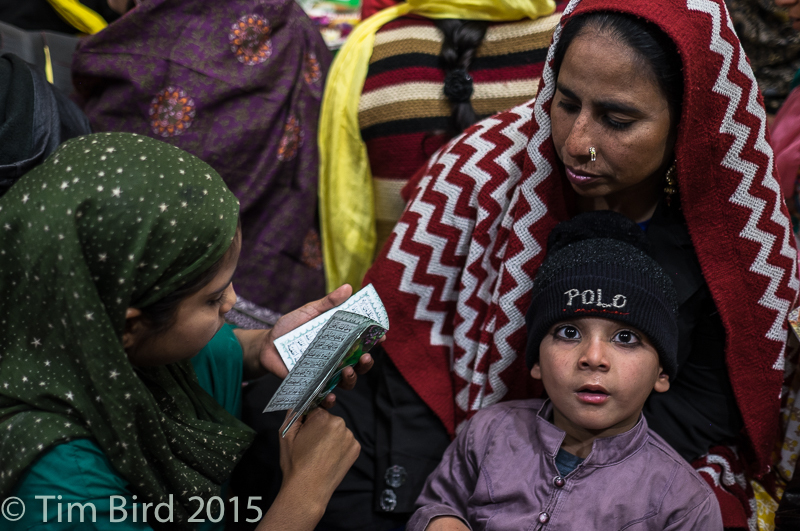 The ceremony of closing of the border with Pakistan near Amritsar has become a tourist attraction. 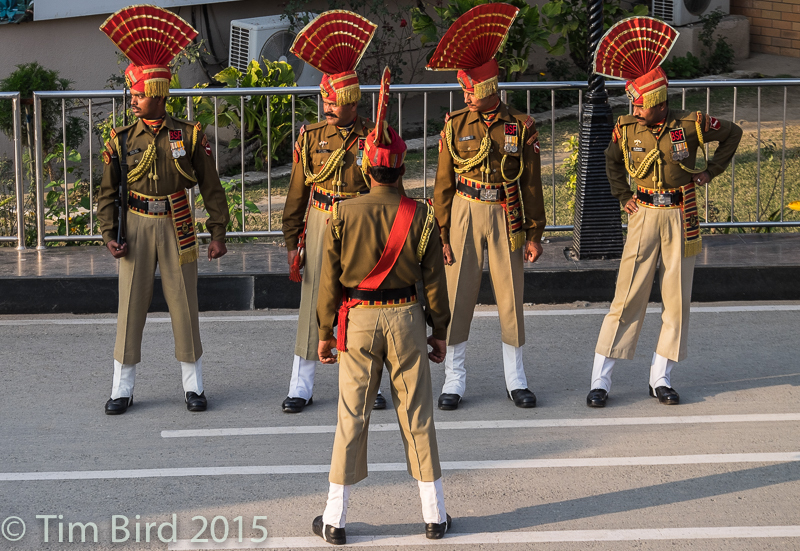 The soldiers are staring towards Pakistan, where a similarly flamboyant guard contingent is staring back at them. 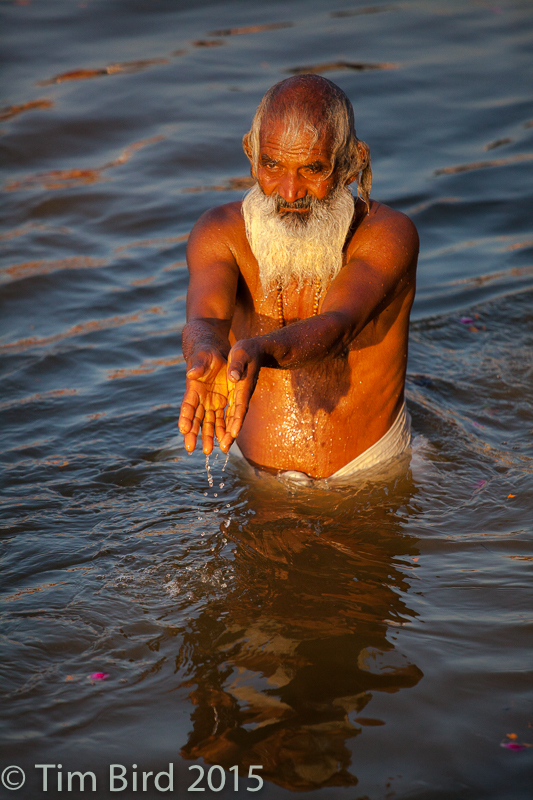 A bather in the Ganges at sunrise on the main day of the Hindu Kumbh Mela festival at Allahabad. 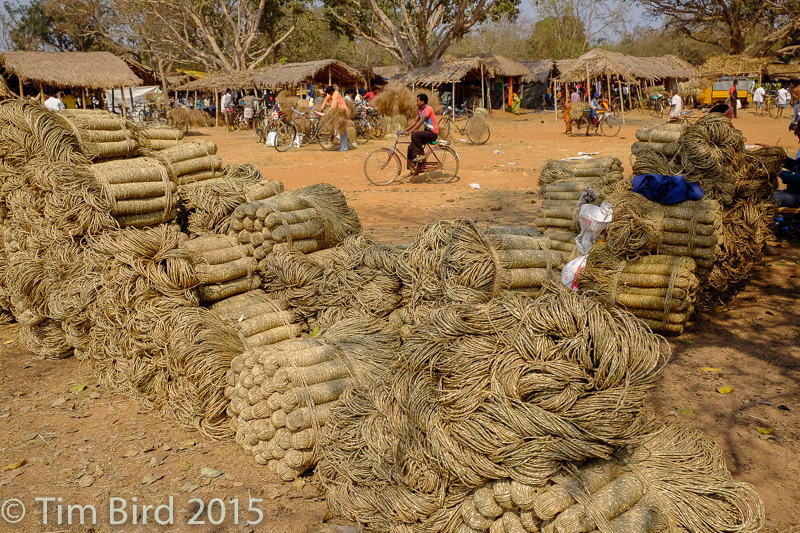 Rope for sale at the Sabai grass market in Odissa. 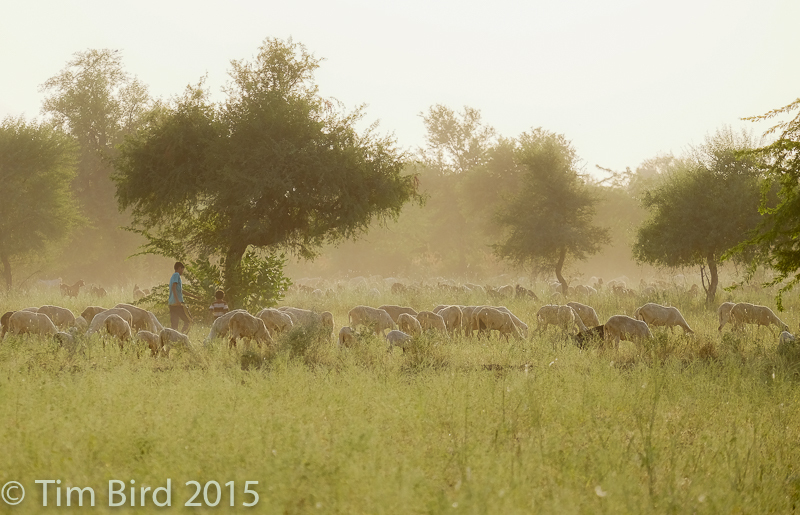 Goat herder – and goats – in the Rajasthan countryside near Jodhpur. 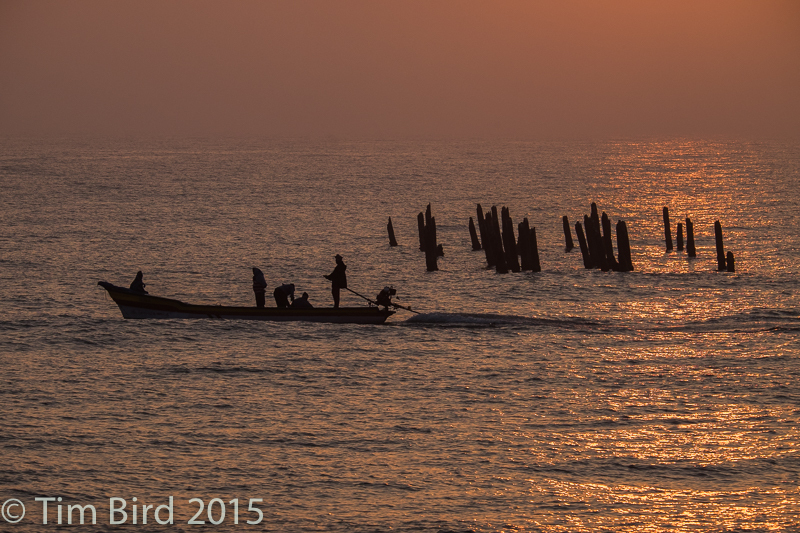 Fishing boat at sunrise at Pondicherry, the one-time French colony on the south-east coast. 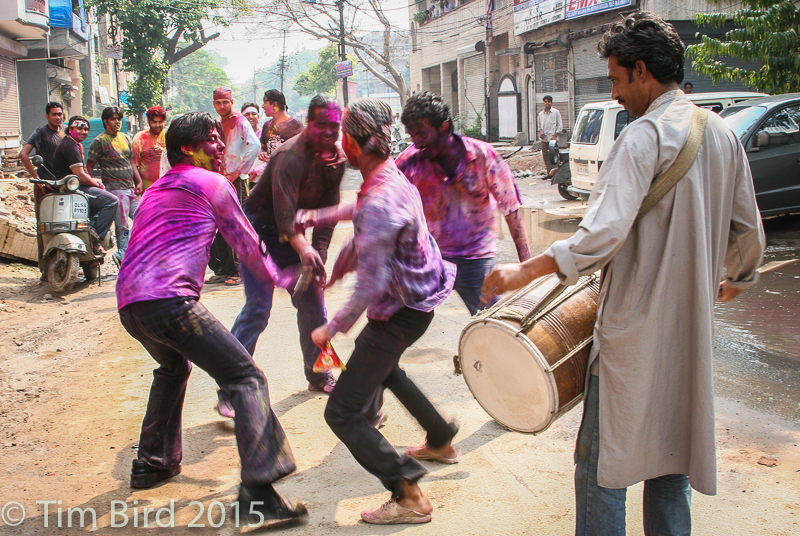 OK, I’m feeling generous, so here’s a seventh, bonus shot of the spring Holi festival in Delhi. I needed a bodyguard to stop the guys throwing paint on my camera. My camera came out of the ordeal safely – I was covered in paint myself. I realized this is just the tip of the iceberg of my Indian archives so I’ll be doing this again! If you enjoyed dropping in, please do follow the blog and tweet, twerp and google, goggle, share and like!